Who are you? Psychologist Martha Mathewson thought she knew. But then, when she meets up with a small metal orb with ET intelligence, she has to face she’s clueless. 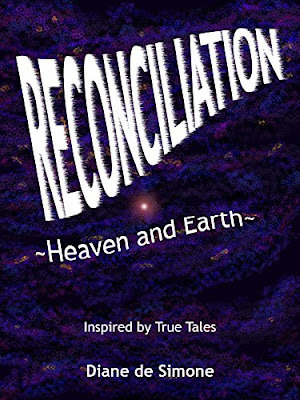 “Diane de Simone’s Reconciliation: Heaven and Earth has a strong setting, a fast pace, and twists that will surprise readers. Diane de Simone weaves suspense into her tale in a way only a mistress of the genre could. “ 5 stars out of 5 Reader’s Favorite.